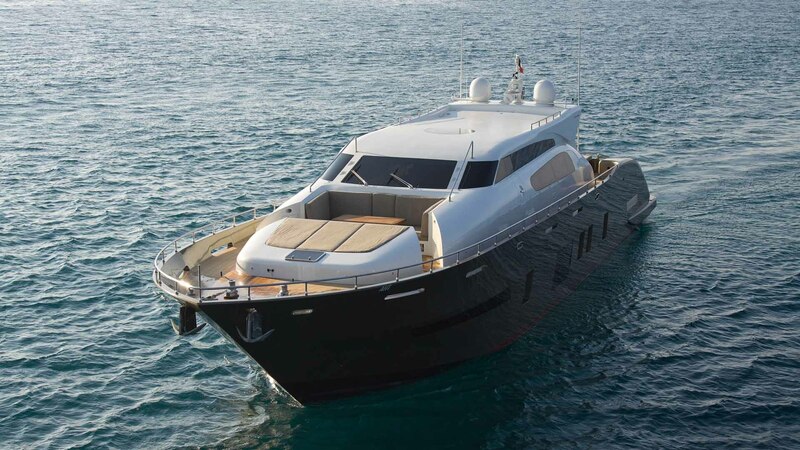 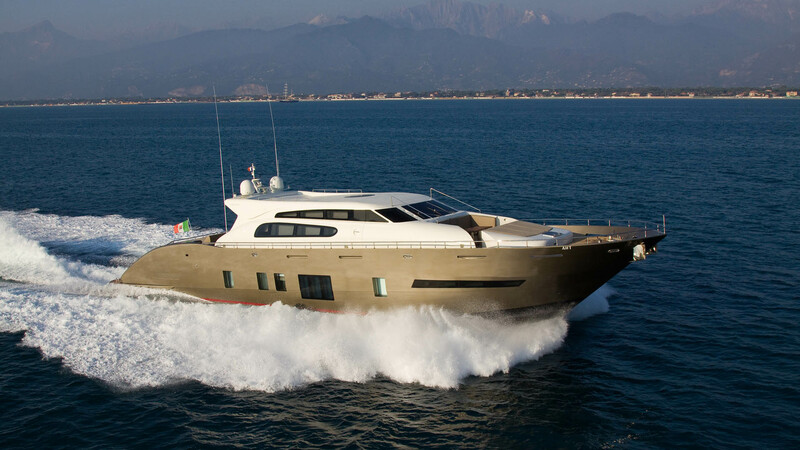 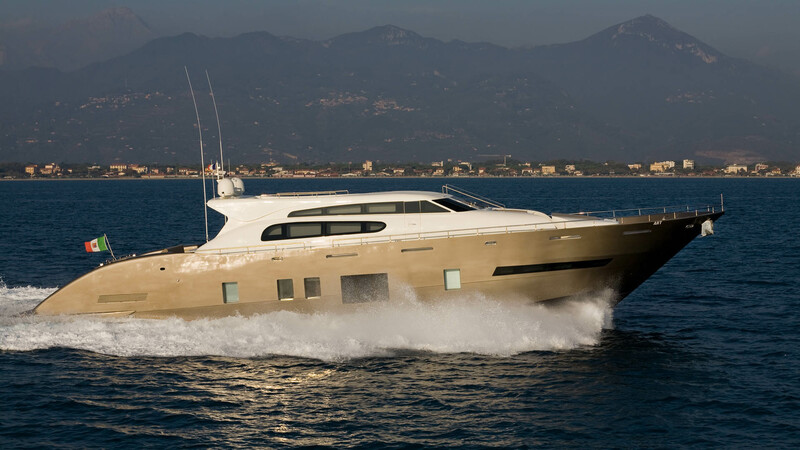 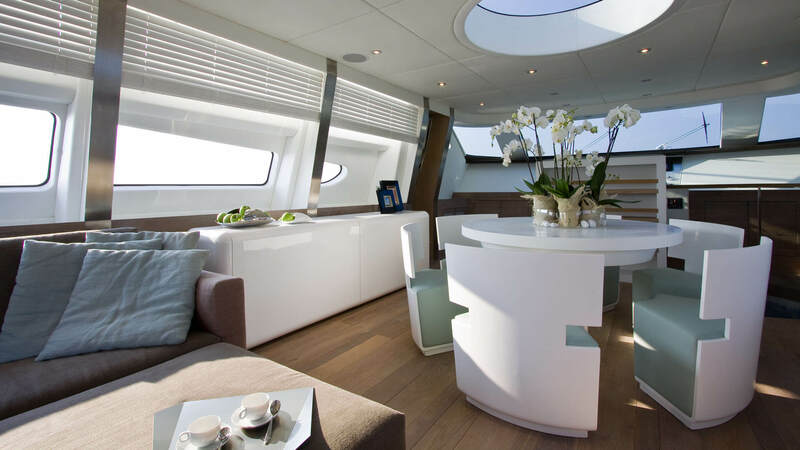 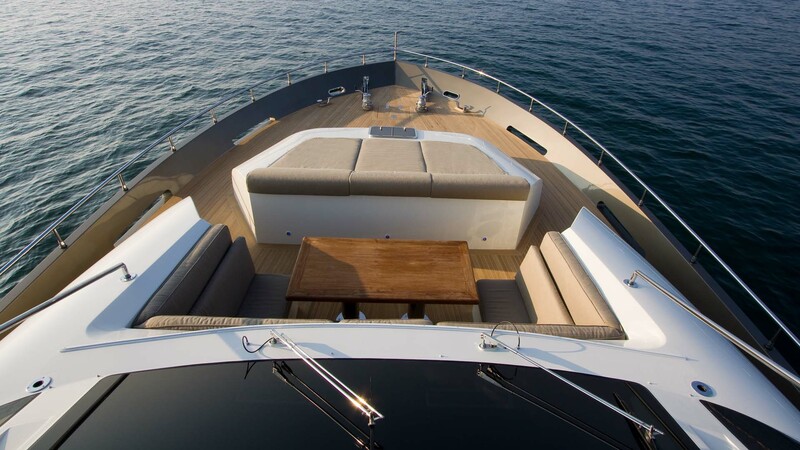 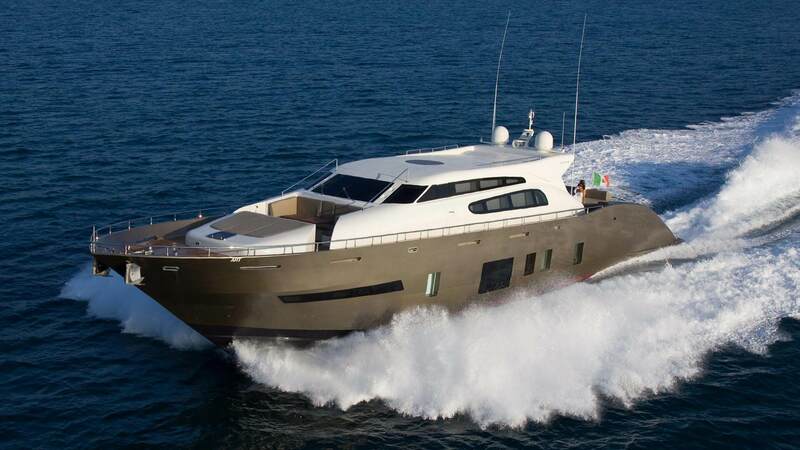 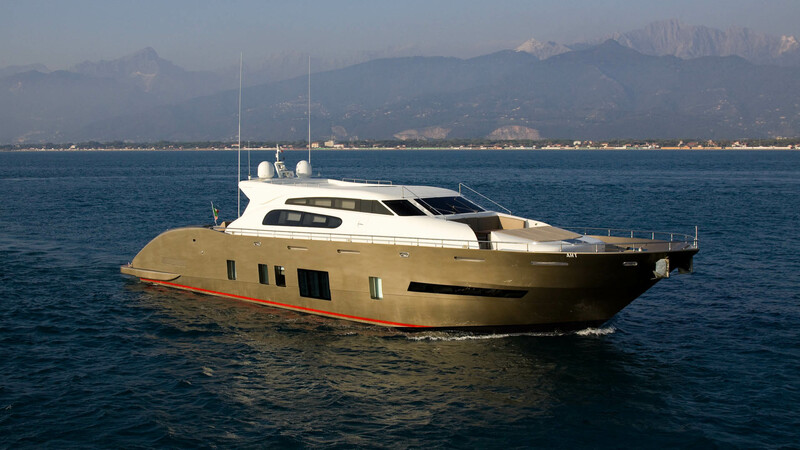 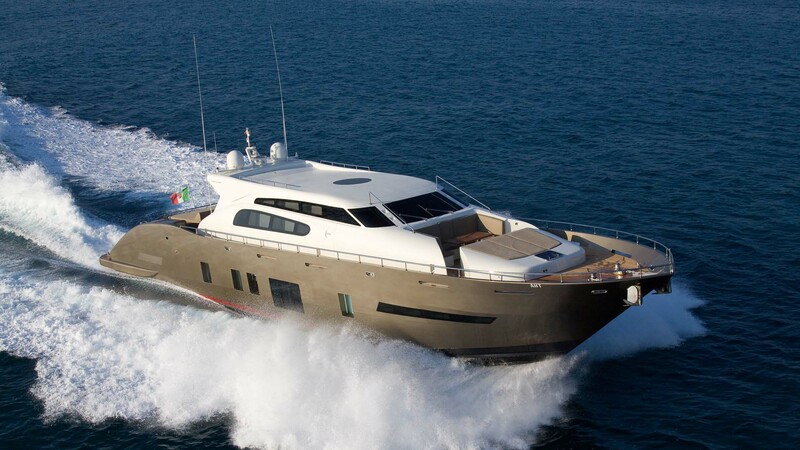 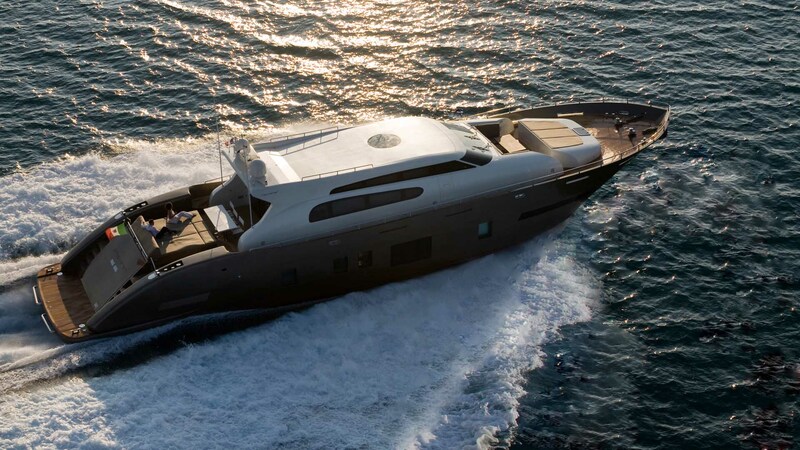 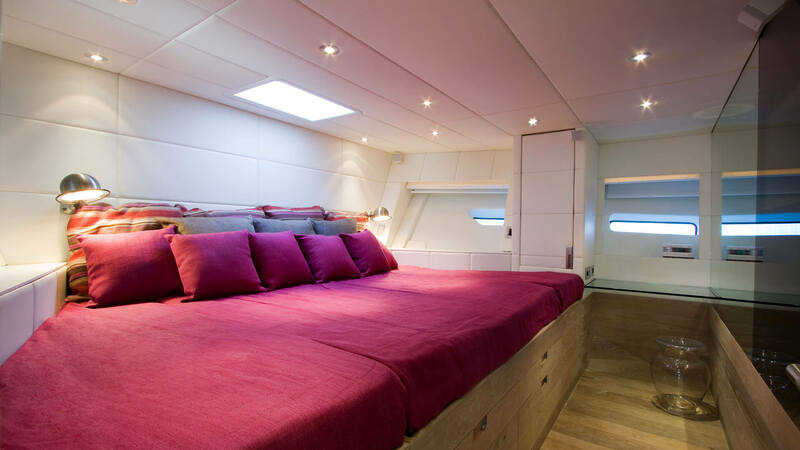 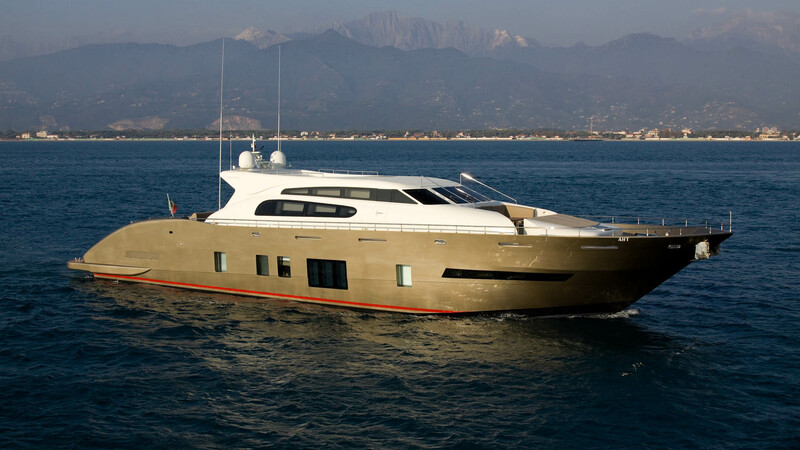 Slender and elegant lines, AHT offers plenty of light to the main deck and all environments through large and elongated side Windows and circular sky-light proceeds up to the bridge. 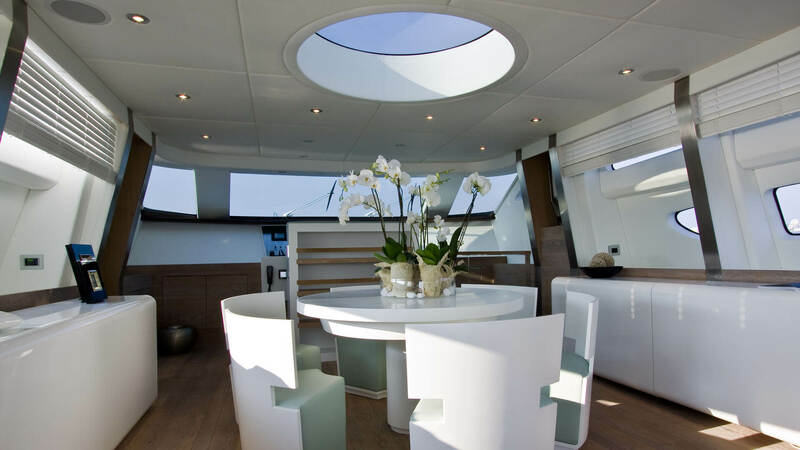 Even the outdoor areas are very large, comfortable and functional details such as hand shower on swim platform transom. 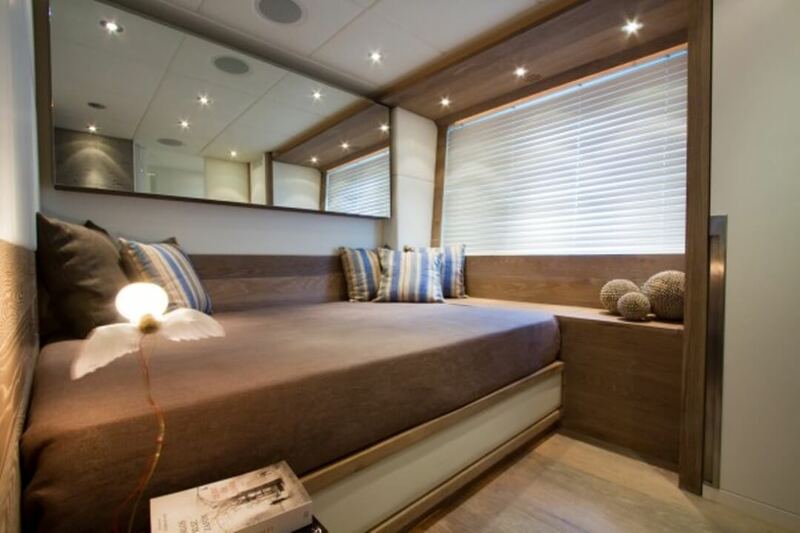 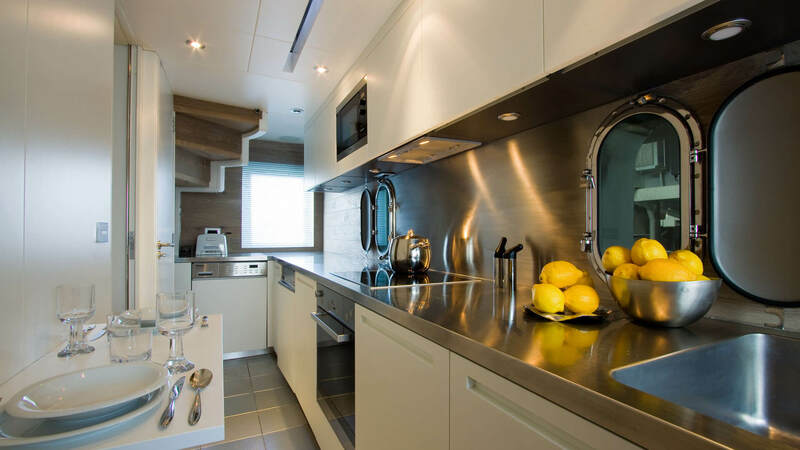 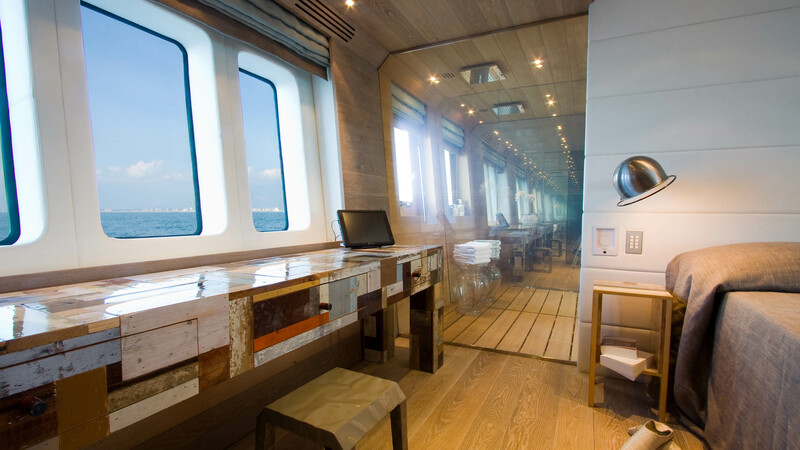 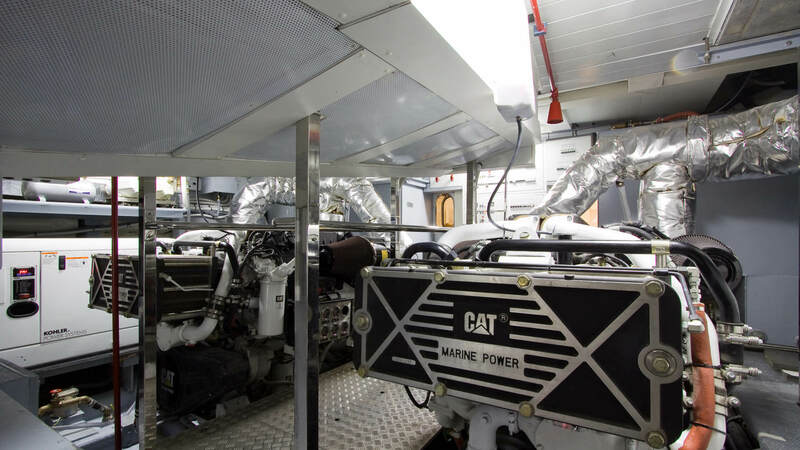 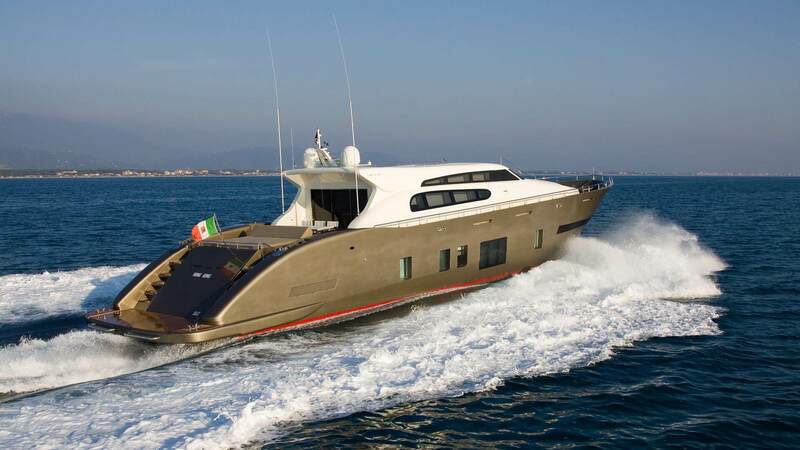 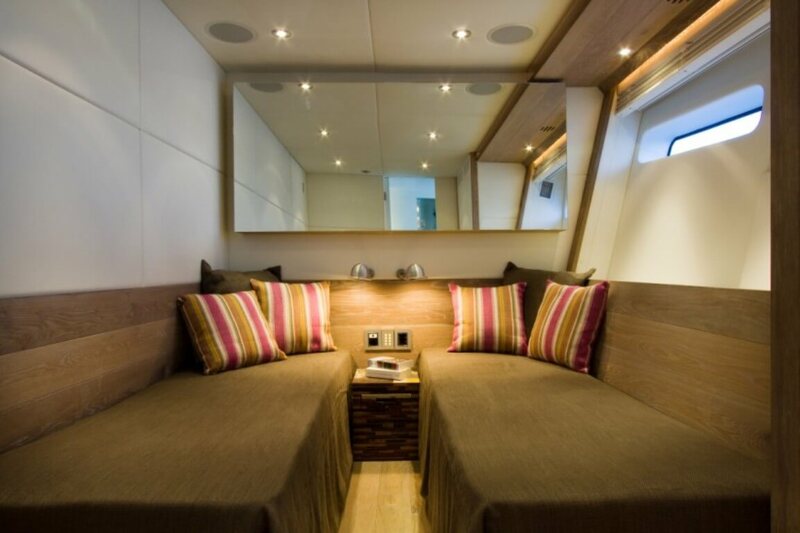 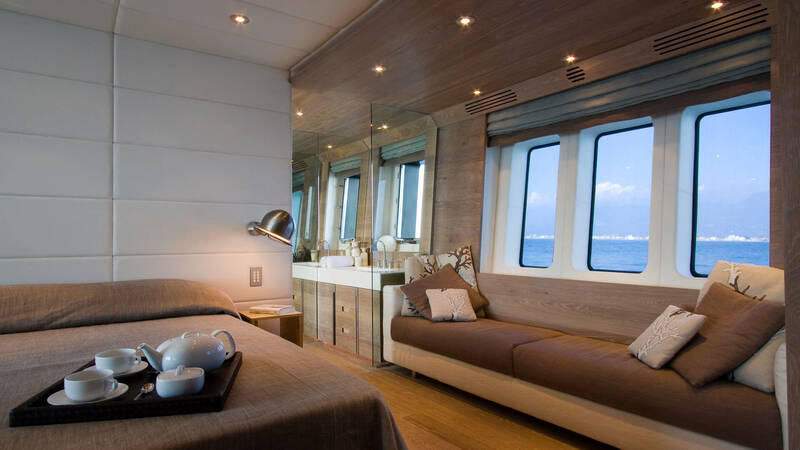 The modern and minimalist design of French architect Tell Garris signing the Interior of this luxury motor yachts that are decorated with pieces of art such as the Cabinet of Piet Hein Eek positioned under the large door of the owner's suite, or polarized glass curtain wall chrome switch. 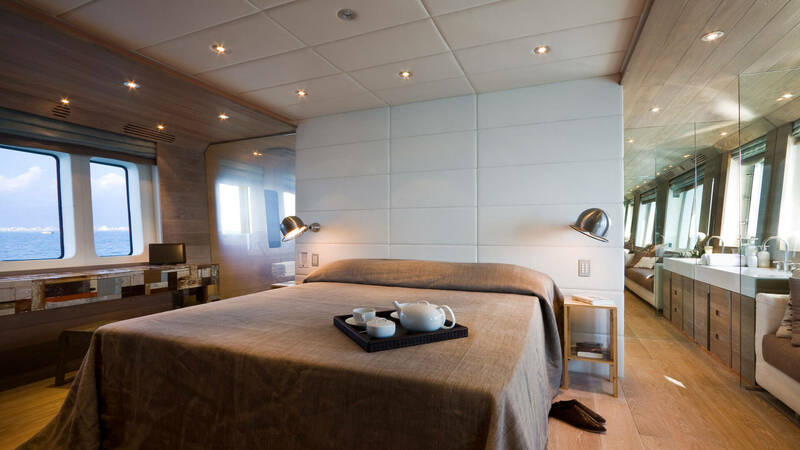 Each of the three guest cabins on the lower floor is an expression of a style of excellence characterized by particular artwork and design as the artistic walls of Martin Berger or sculptures, unique pieces, by Raphael Scorbiac.